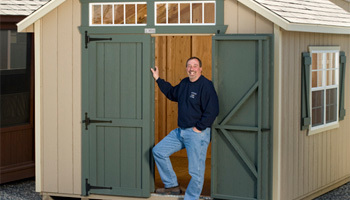 Joe wasn’t raised in a barn, but he sure knows how to build them. Brad is long gone, but Brad’s Barns in Kingston lives on. Quality also was top of mind when Joe chose Ulster Savings Bank to finance the deal with Brad. “They do everything for me—business checking, loans, all my insurances—which is important, because I don’t have the time. I need to focus on running my business. 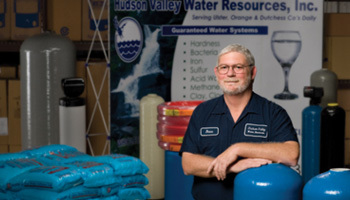 Russ provides people with clean water, without drowning in high bank fees. When it comes to speedy delivery, we give Joe the whole package. Lightning Express specializes in moving time-sensitive cargo for light manufacturing companies: pharmaceuticals, cosmetics, solar equipment and the like. 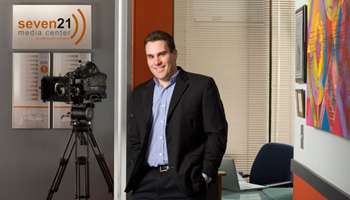 “Our primary sales tools are word-of-mouth and the quality of service we provide,” says Joe. When Jeremy Ellenbogen was devising a plan to expand his film and television production company, he scripted a plan that starred freelance media talent, bricks and mortar, and bankers. The result was the Seven21 Media Center in Kingston, a beautifully renovated building where directors, videographers and other media specialists share skills, equipment and opportunities. When Jeremy picked his cast and crew, we landed a leading role. We care for his business, so he can care for his patients. 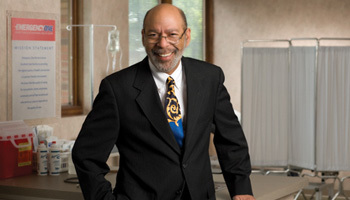 The second coming of Woodstock in 1994 presented Dr. Ferdinand Anderson with one of the more daunting challenges of his career: develop an emergency medical plan for 350,000 concertgoers. Today, Dr. Anderson is still caring for people in the Hudson Valley as owner of EmergencyOne in Kingston, an urgent care clinic. And though they may not be of rock-show proportion, there are still challenges. For instance, when the doctor developed plans to expand the facility in Kingston and open a Hyde Park location, his bankers balked. “Put it this way, they didn’t seem interested in what we were trying to accomplish,” he says.